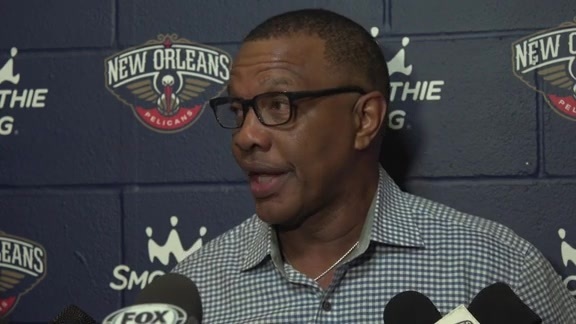 With the team’s starting point guard sidelined and its best player appearing to be less than 100 percent, New Orleans had recently experienced a frustrating winless road trip vs. formidable Western Conference competition. 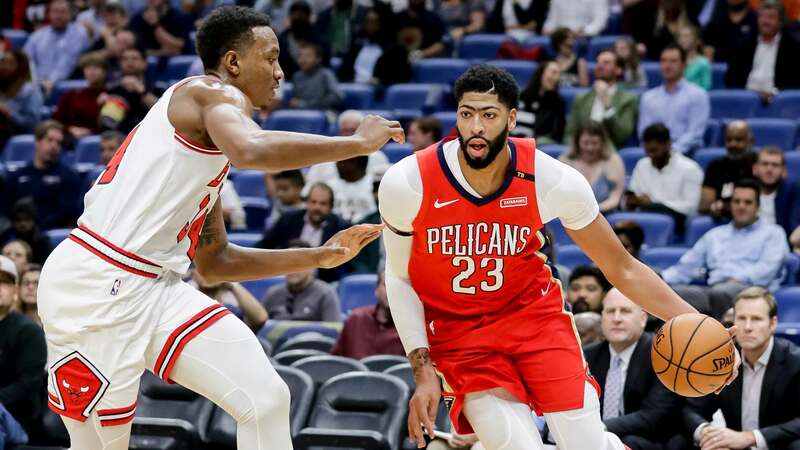 Elfrid Payton remained out of action Wednesday, but the Pelicans’ five-time All-Star, Anthony Davis, demonstrated that he may soon be returning to full strength. 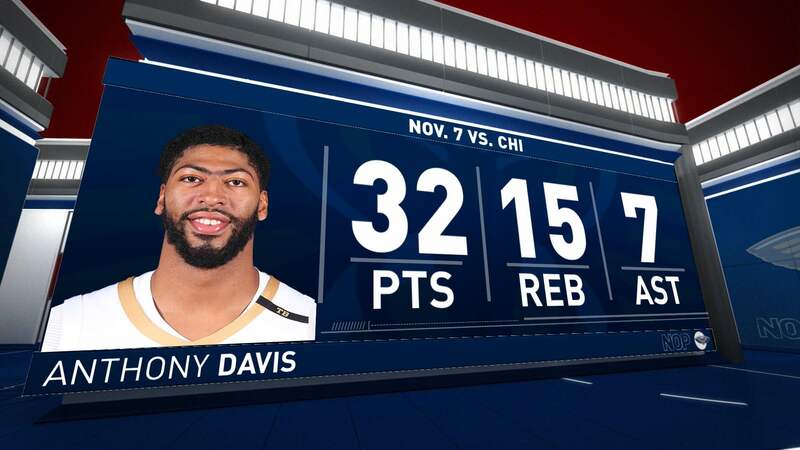 Prior to exiting Wednesday’s interconference matchup late in the third quarter due to being inadvertently struck in the face by teammate Julius Randle, Davis piled up 30 points, 10 rebounds and six assists in only 30 minutes of playing time. He re-entered midway through the fourth quarter, finishing with 32, 15 and seven, the latter being one assist shy of tying his career high. 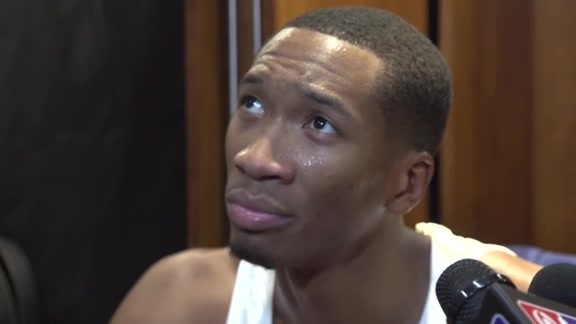 In his third straight game as a starter at small forward, Wesley Johnson drained a right-wing jumper, giving the Pelicans a 98-88 lead with 4:17 remaining. Chicago later cut its deficit to six at a couple stages, but never seriously threatened the hosts. 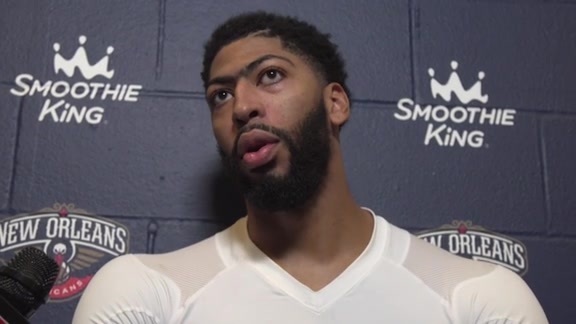 Davis set the tone for a victory by notching 22 points in the first half, staking New Orleans to a 58-50 lead. Davis started 1/5 from the field, but then sank his next eight shots. 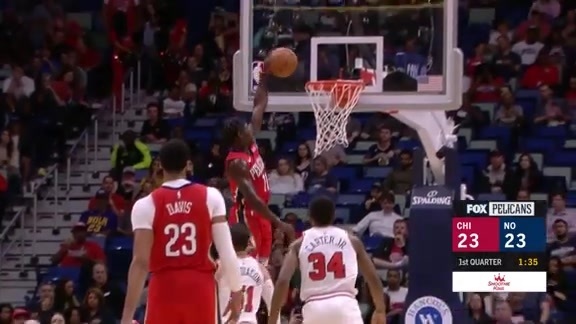 No other Pelican produced big numbers offensively, but Nikola Mirotic had another strong rebounding performance (15, one shy of his career high he set in each of the previous two games) and Jrue Holiday handed out nine assists. Holiday nearly had a triple-double, compiling 17 points and 10 rebounds. Johnson has produced increasingly greater results in each of his starts, highlighted by him cracking double digits in scoring Wednesday (12 points) for the first time since January of last season, when he was a member of the Los Angeles Clippers. 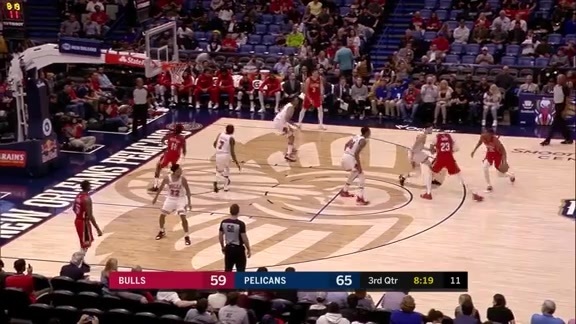 Though he was moved into the starting five Saturday at San Antonio in large part due to his defense, Johnson was very efficient offensively against the Bulls, going 5/7 from the field and 2/3 from three-point range. Off the bench, Darius Miller was solid, scoring 11 points on only six shots (3/4 on treys). Rookie Kenrich Williams also played four minutes, making just his fourth appearance of the regular season. 29-18: New Orleans edge in bench scoring, led by 12 from Randle and 11 by Miller. 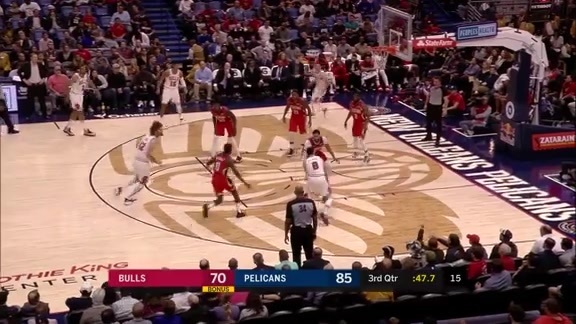 9/26: Shooting from the field by Chicago’s Zach LaVine, who was held below his scoring average of 27.9 points and needed a boatload of shots to get to his 22 points. 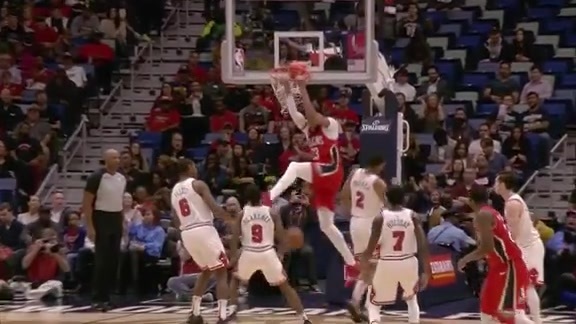 Holiday played some aggressive defense against the Bulls’ prolific two-guard. 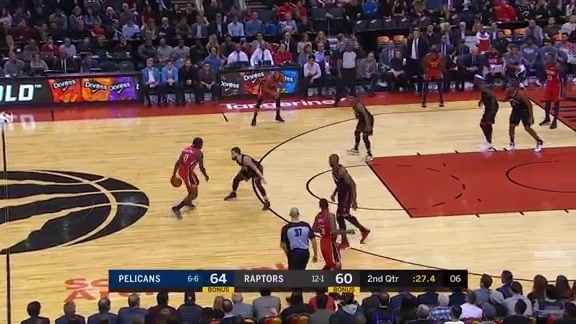 55-46: New Orleans rebounding advantage, led by 15 boards apiece from Davis and Mirotic. 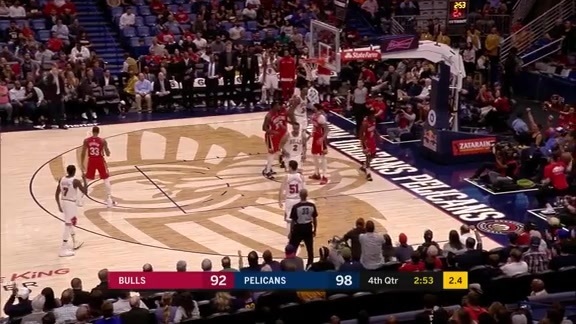 Anthony Davis notches a double-double with 32 points and grabs 15 rebounds as the Pelicans defeat the Bulls, 107-98. 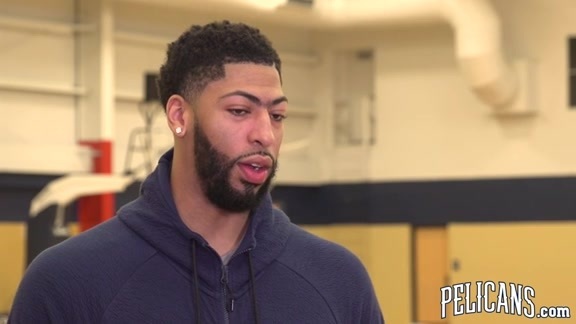 Anthony Davis talks about how he got back on track tonight against the Chicago Bulls. 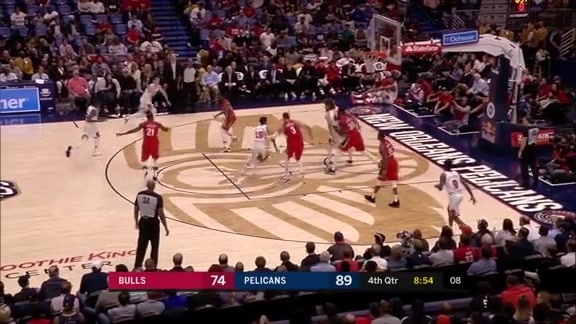 Pelicans Anthony Davis returned to form, racking up 32 points against the Chicago Bulls at the Smoothie King Center. 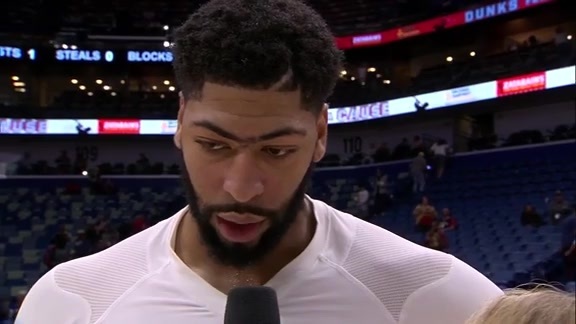 Anthony Davis speaks with Jen Hale after putting up 32 points against the Chicago Bulls. 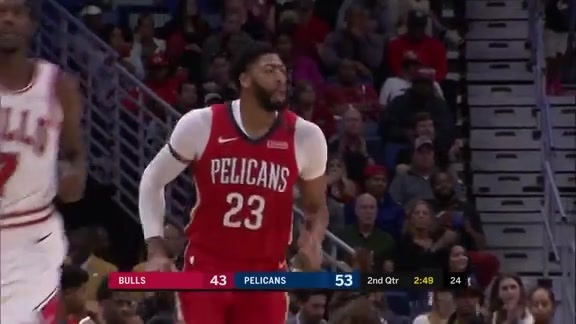 The New Orleans Pelicans defeated the Chicago Bulls 107-98 in the Smoothie King Center on Wednesday, Nov. 7.